How long can you keep champagne for? Growing up, there was a permanent feature of my parent’s living room – a Jeroboam of Mercier champagne. It sat, ornament-like, at the side of a feature fireplace we never lit. It had been a gift, and like many ‘special’ gifts, it had never been opened. There had never been an occasion that seemed to warrant it. I discovered later that they had decided to leave it behind when they moved house. Perhaps correctly, my folks decided that it wouldn’t be in any fit state to drink after all those years, and it made a better ornament than it did a drink. The thing is, champagne can age. In fact, Vintage champagne is often intended to. They might lose a little fizz, but they gain in body, character and complex flavours. Most champagnes though are Non-Vintage, which means they are a blend of several different years, and should be consumed within around 3-5 years of release. There are – as with all things – exceptions to the rule: Krug Grand Cuvée is a multi-vintage wine that bucks the trend and develops over many years. A couple of weeks ago, while browsing through Twitter on an idle Saturday, I spotted a question. A friend of mine had dug out a bottle of Bollinger he had held on to for many years. Fifteen years, in fact. He was asking if anyone knew if it would still be drinkable. I’m firmly of the opinion that Bollinger NV tastes better after a few years in the bottle. There’s a saying in the wine trade that you should buy next year’s champagne the year before. But fifteen? There are very few Vintage champagnes that could see this length of time and be better for it – Charles Heidsieck 1995 perhaps. Vintages like 1996 certainly. But a lowly Non-Vintage? Curiosity got the better of me. I had an idea of what to expect, so I made him a deal. He would open it, taste it, and tell me how it went. In return, I’d send him a fresh bottle for his troubles. “This evening we decided to open a bottle of Bollinger which must be about 18 years old or more. It was given to me in 2001 for my 21st Birthday and at that time I decided I wanted to keep it. When I moved into my own house in 2005, the bottle came with me. I was going to open it to celebrate moving in, but for some reason I didn’t. 11 years later, I was having a Spring clean and came across the bottle in a cupboard alongside old tins of paint and tools. My other half wanted to throw it away, but I was intrigued by how it would be after all these years. I’d managed to resist drinking it for 15 years and thought it would be a shame to just throw it away without opening it. The general answers were that if it has been stored correctly, it would mature but should still be drinkable. I took to Twitter and asked the same question. A few people responded saying that if it had been stood up all that time the cork would have dried out, or it would have gone bad. Ruari responded to my tweet and advised that it would be very mature and have a ‘developed, oxidative’ style. When I told him it was a Bollinger he said it was potentially drinkable as Bollinger tends to age well. “Expect really nutty, toasty flavours,” he said. At the end of the day, I thought, ‘What’s the worst that could happen?’ So I put it in the fridge to chill. 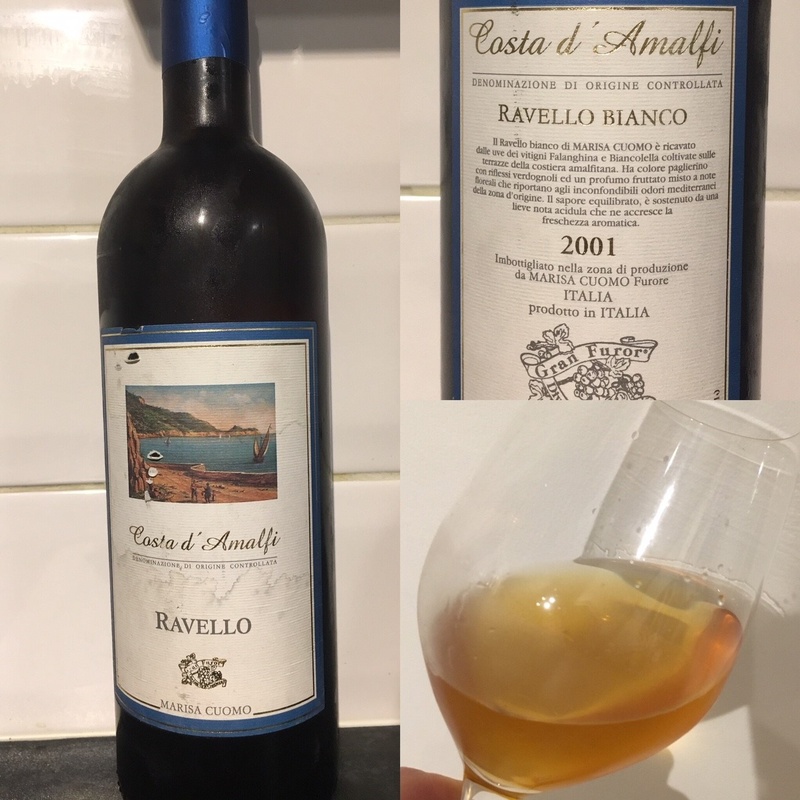 After dinner this evening we decided we would crack it open. I nervously unwrapped the foil and we had to prise the metal cap off of the cork. The usual ‘POP!’ didn’t happen as it had obviously lost some of its fizz over the years. Once the cork was out I sniffed the bottle. It smelt like champagne, but very concentrated. It almost smelled like Tequila, a honey-esque aroma. I was intrigued to taste it. We poured two glasses, and as it filled the glass it was a very intense colour, much darker than a usual champagne. It was almost like pouring honey. We both took a sip and at first were unsure on the taste, was it good or not? A second sip, and it tasted familiar like champagne but it was so concentrated, not really something you could sit and drink on a saturday night. We felt that you could probably make it easier by adding Chambord to make a nice Kir Royale, but we didn’t have any. We switched to drinking a nice crisp chilled Chardonnay and begrudgingly poured the rest of the Bollinger down the sink. 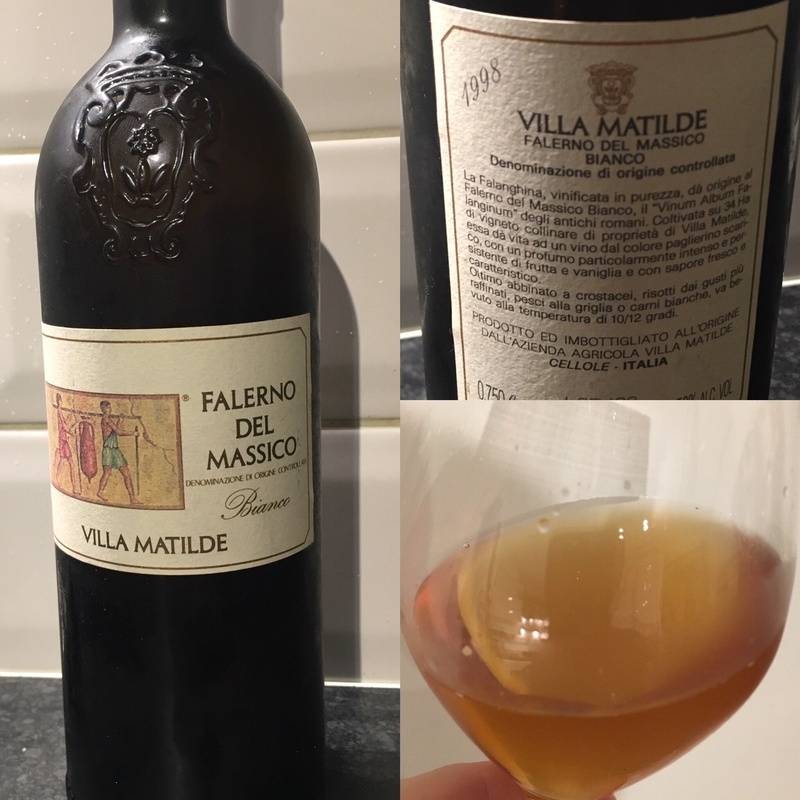 It almost seemed a waste but I am so glad i managed to taste the bottle I had held onto for so long It was given to me for such a special occasion and deserved to be tasted after all this time. There is a little part of me that remains slightly jealous. Perhaps masochistically, I’d love to know what it tasted like. Not to know if it’s any good, but just to understand on a winey-intellectal level what happens to really old Non-Vintage fizz. The moral of the story is simple – if someone gives you a bottle of champagne as a gift, drink it with them there and then. The perfect moment, the perfect occasion, is now. A big thanks to Paul for gamely taking part in satisfying my curiosity. If anyone else has tried something similar, I’d love to hear about it! In the meantime, if you fancy a bottle of something a little fresher, check out our fantastic range of Vintage and Non-Vintage champagnes here. I got a bottle of nv Veuve as a reward when I was working at the accountants E&Y in 1995, I held onto it for longer than I intended and through various house moves, until finally we opened it one rainy Saturday afternoon in 2001 in Germany with very low expectations… I’m delighted to say that it was delicious – a little less sparkly for sure but concentrated and with very nice layers of complexity, a real pleasure and a nice surprise ! 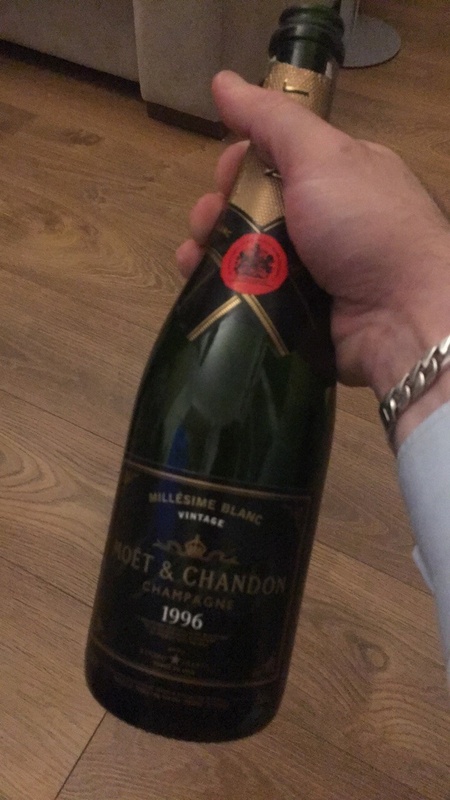 Hi, I had to join in on this group chat, as I am about to turn 38 this Saturday the 7th July and I have two bottles of champagne from my 18th birthday (20 years ago!!!) that we have held onto awaiting for a big occasion to celebrate and open them but I felt it has never arrived, so we are going to open both bottles this Friday night in canary wharf with lots of family and friends.. I can’t wait to try them as I am so intrigued to what they are going to taste like.. I really hope they are ok and no-one is ill from them. I’ll keep you updated.